Electronic Media for the School Market: Review, Trends & Forecast 2004-2005 provides you with the analytics you need to augment your business decisions in 2005 and beyond. This edition will help you get an inside track on the latest trends, including which schools are best positioned to make electronic media purchases in 2005, and which software vendors top their lists. 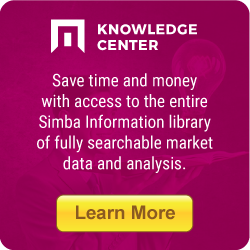 Simba's exclusive growth figures and projections, by media and market segment, will arm you with the tools you need to determine where to place your investment bets for maximum ROI. Additionally, find where new revenue growth opportunities are being created as a result of the No Child Left Behind federal education reform act of 2002. Electronic Media for the School Market provides profiles of key players that help you target partners or acquisitions, benchmark your performance against that of your competitors with exclusive revenue rankings of leading players in each market segment and confidently plan your growth strategies with critical three-year forecasts available only from the analyst team at Simba.